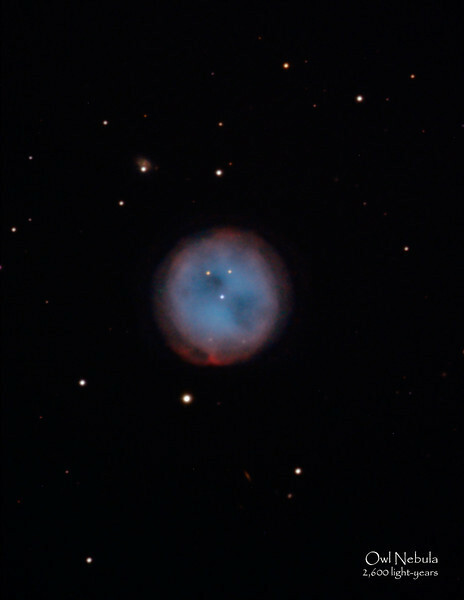 This planetary nebula was discovered in 1781 and, because of its ghost-like owl face look, given its name in 1848. It is located in Ursa Major (or the Big Dipper constellation) and is thought to have been formed approximately 6,000 years. At least two galaxies can easily be seen in the background (one with a star in front of it). It is 2,600 light-years away from us.